it has been a while again. 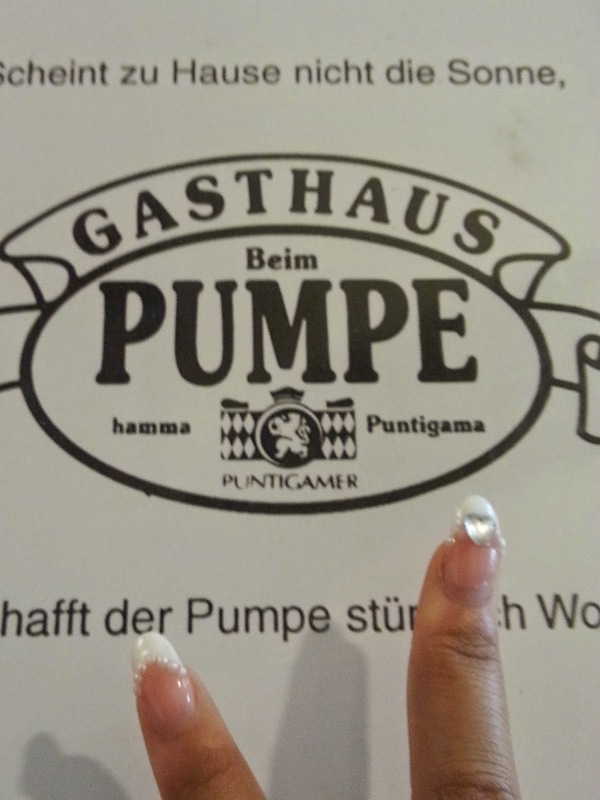 This weekend was Made in Japan but I spontainously cancelled it and went to Klagenfurt with Matthias. I haven't been to Klagenfurt/Kärnten for 10? years or more. 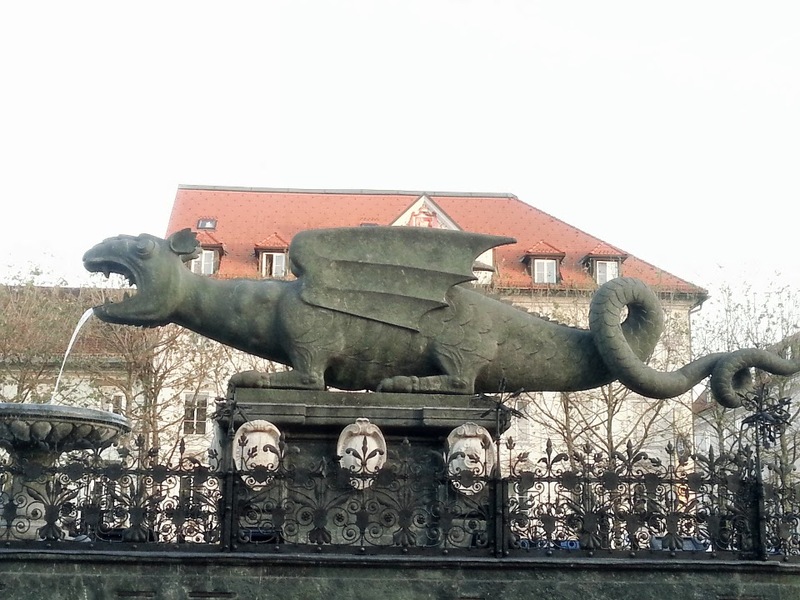 I can't remember the city at all except for the Lindwurm, a very famous monument. As a kid I was not impressed by it because I thought it would be bigger. This time I was not impressed either, neither by the city nor by the monument. The food was good but very rich and hearty. 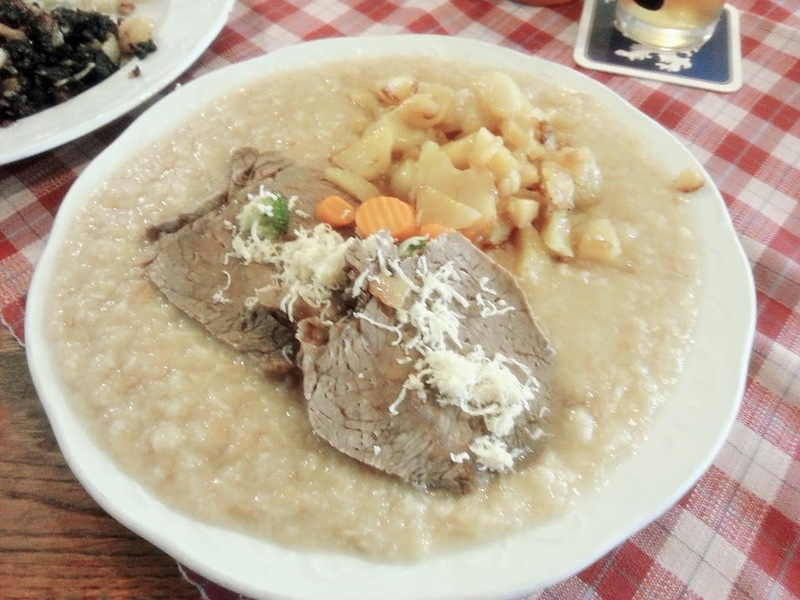 I ordered cooked beef with horseradish and potatoes. 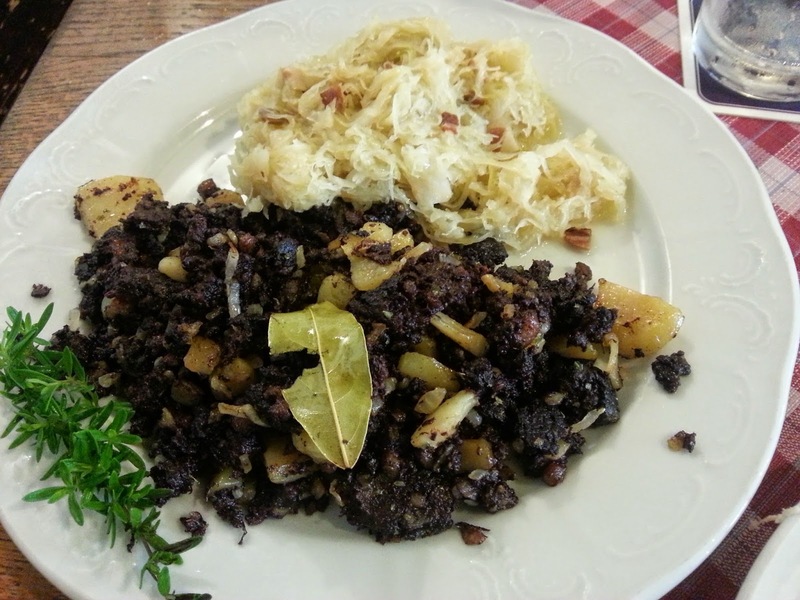 Matthias ordered black pudding with potatoes and sauerkraut with bacon. I liked his food more! 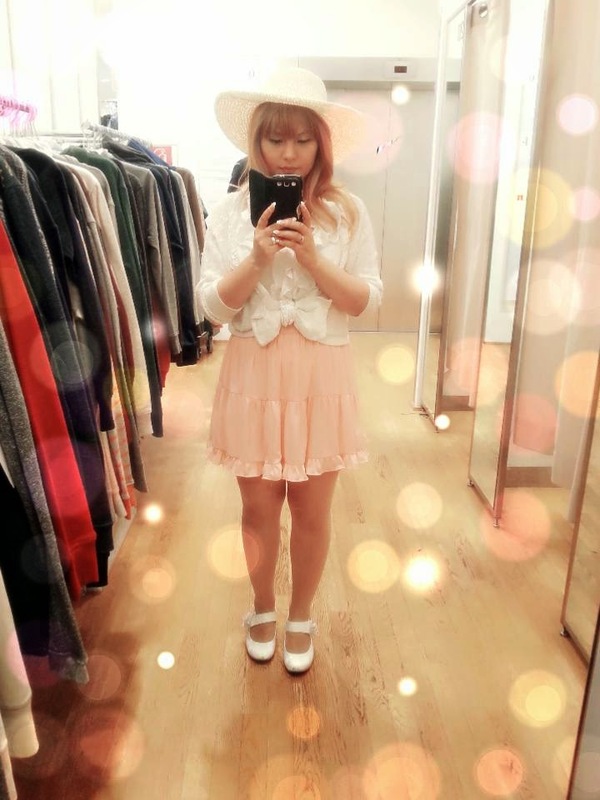 They have one big shopping centre called "City arkaden" and I got a white summer hat. It's a bit plain but at least I can add a lot of cute ribbons! Waiting for Matthias to buy trousers in Peek&Cloppenburg. Great time for a selfie! The skirt is from Korea and the Bolero is from Liz Lisa. Everything else is offbrand. In the evening we went out for a drink with two of his female friends. But the bar showed soccer on tv and I hate soccer. I wouldn't hate it that much if I could flee from it, but you can't. It's in the newspapers, on radio, on tv and everywhere. But my wine cocktails with mango and ananas were good and I had my back to the game so it was ok. Nevertheless, going out in Klagenfurt was a bit boring. 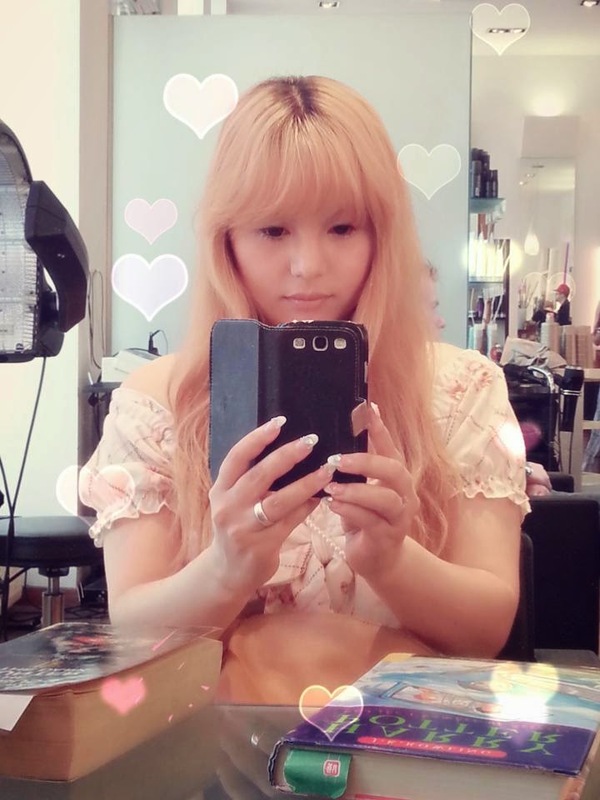 On Friday, the day we drove to Klagenfurt, (yes I am jumping in tim) I went to the hairdresser and coloured my roots again because they were showing. I am re-reading Harry Potter again! :) And I just love what my hairdresser always does with my hair. 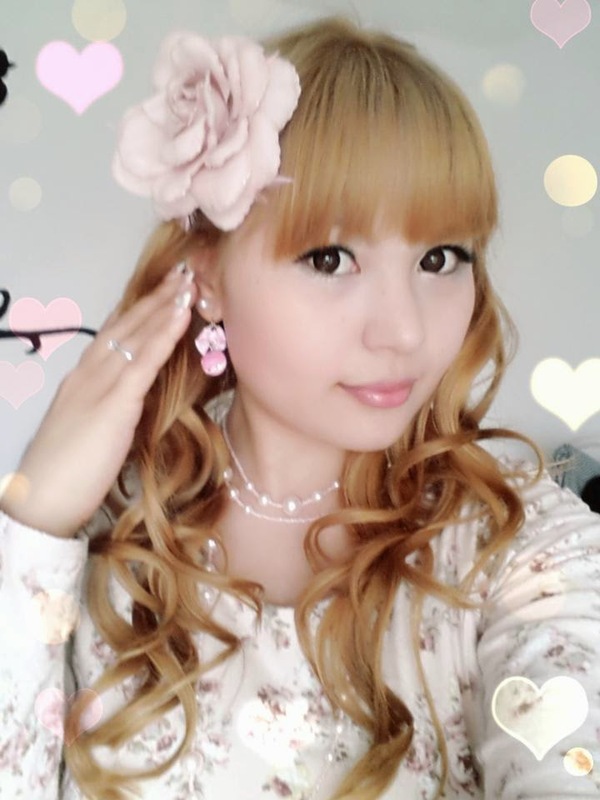 This was just a very simple styling, last time when I wore a rose coloured dress and a paignoir, he made such lovely curls. Curls which I could never do on my own! 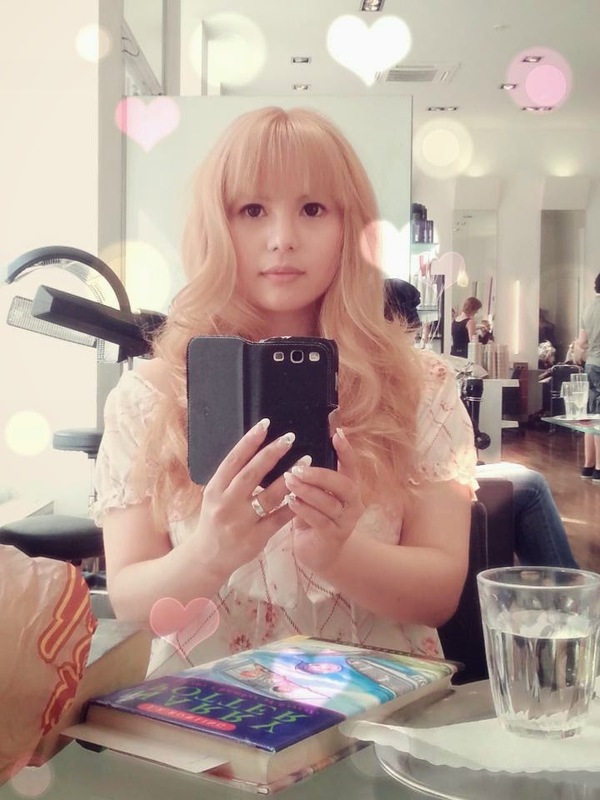 Colouring the roots, cutting, styling etc cost 110€ but that's okay because my hair is always great after his treatment, the colour is wonderful and the head massages are not from this world. I used my big curling iron this time but my curles turned out really nice too. And I only managed to burn myself twice. Hooray! Macaron earrings from my sister! They are so cute! 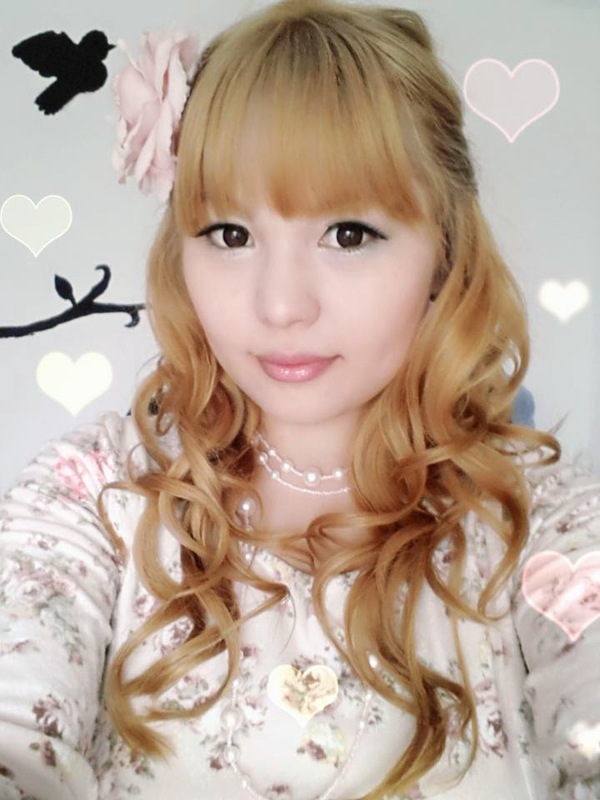 It was so cold I wore my floral, long sleeved liz Lisa dress from this years fukubukuro. 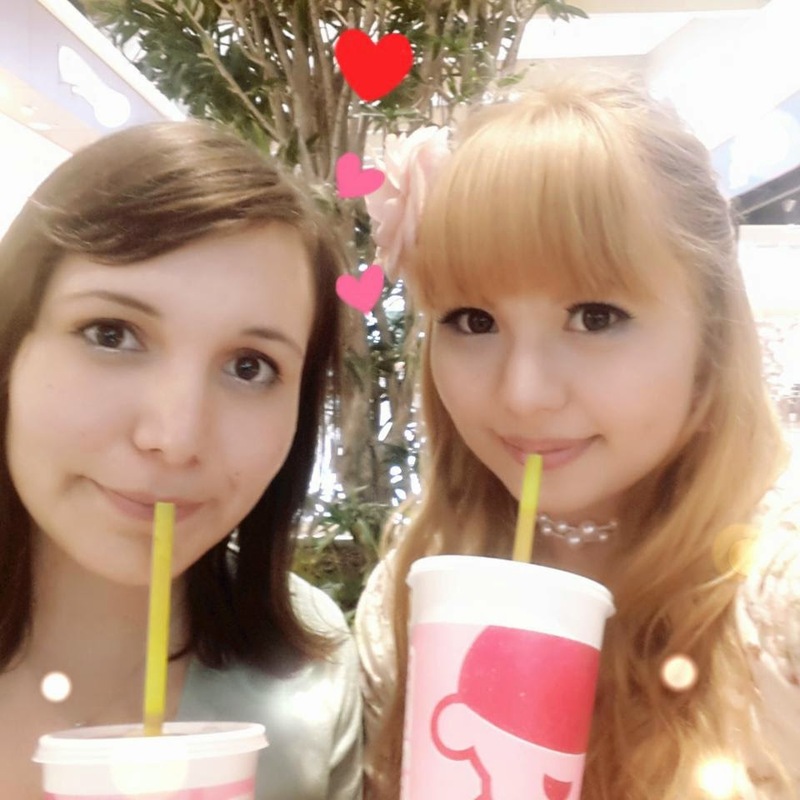 Afterwards I went to eat running Sushi at Donauzentrum with Plü and after that she drove me to Primark in G3. I bought new shoes, a hufflepuff sleeping shirt (4 sizes to big *_*), a strawberry scarf and a lot of accessoires. After that we had our usual fruit smoothies. 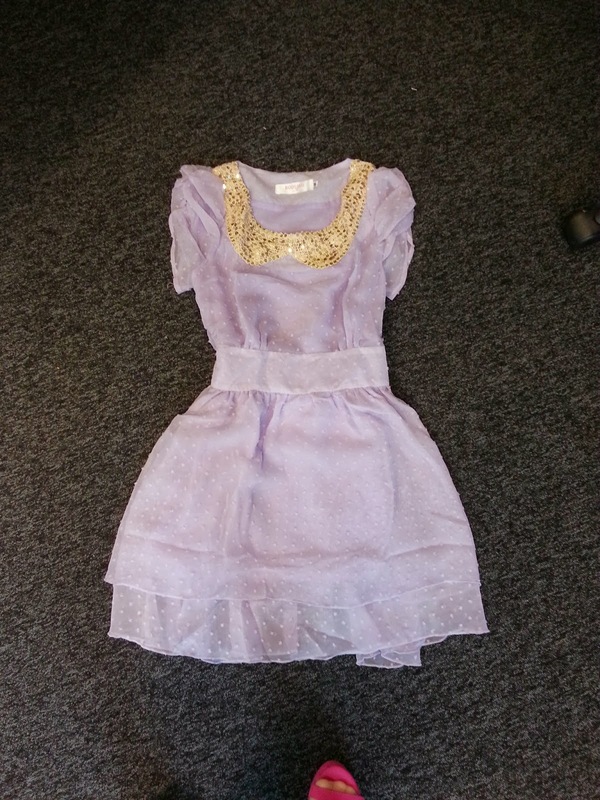 Today at work I got the dress I ordered a few weeks ago..
Only a sloppy floor picture because I can't try it on at work...(but you can see a a little bit of my new pink primark shoes). It does look quite similar. The fabric is a soft chiffon but it smells a bit of curry??. I think I'll take it with me to Paris.